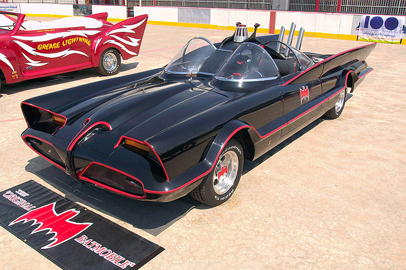 Back when ATI launched the Radeon HD 5870, along with other journalists, we were immediately struck by the similarity of the new card's cooler to the classic 1960s Batmobile. 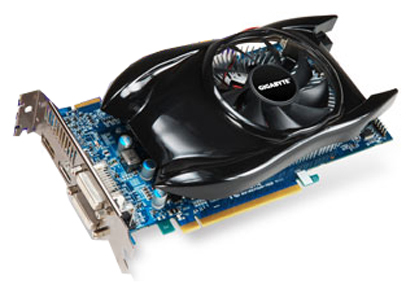 The other day, while doing some research on the price of graphics cards I was therefore quite amused to find that Gigabyte appears to have taken ATI's idea one step further and actually mounted a Batmobile on top of one of its cards. Now here's the Gigabyte - the card in question is the GV-R577UD-1GD, which means it's based on the Radeon HD 5770 GPU and has 1GB of on-board memory. As you can see, this Gigabyte's heatsink is shaped even more like the Batmobile than the original HD 5870 cooler. Aside from novelty USB keys, has anybody else spotted any other products recently that are clearly inspired by other real-life objects?